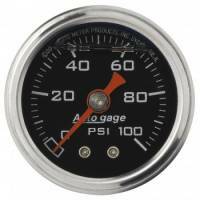 Auto Meter Gauges are the number one choice of professional racers worldwide. 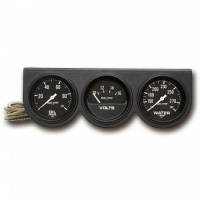 Quality molded black plastic Angle Mounting Rings angle gauges towards driver. Pit Stop USA is The Online High Performance Superstore! 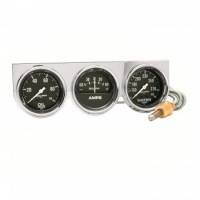 We feature Axle Temp Gauges at low everyday prices. Check out the Recently Listed Banjo Bolts. Pit Stop USA sells all the products you need for your 3/4 and 1-ton GMC or Chevrolet Trucks including Gauge Components. 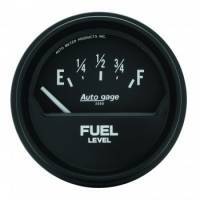 Pit Stop USA sells all the products you need for your 3/4 and 1-ton GMC or Chevrolet Trucks including Gauge Kits. PitStopUSA.com offers a variety of Clocks from the biggest brands in drag racing including Auto Meter Clocks and more at low everyday prices. PitStopUSA.com offers a variety of Cylinder Head Temp Gauges from the biggest brands in drag racing including Auto Meter Cylinder Head Temp Gauges and more at low everyday prices. 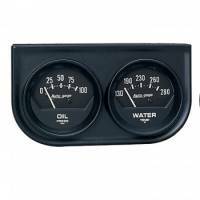 Auto Gage Black Oil / Amp / Water Black Console - 2-1/16 in. 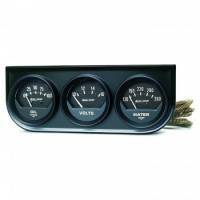 Auto Gage Black Oil / Amp / Water Black Steel Console - 2-5/8 in. 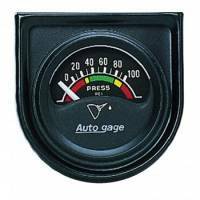 Auto Gage Black Oil / Amp / Water Chrome Console - 2-5/8 in. 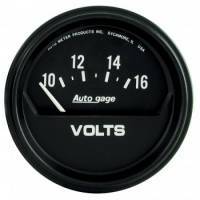 Auto Gage Black Oil / Volt / Water Black Console - 2-1/16 in. 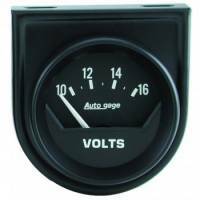 Auto Gage Black Oil / Volt / Water Black Console - 2-5/8 in. 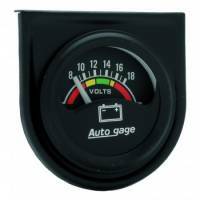 Auto Gage Black Oil / Water / Volt Chrome Console - 2-1/16 in. 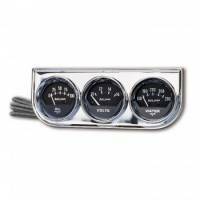 Auto Gage Black Oil / Water / Volt Chrome Console - 2-5/8 in. 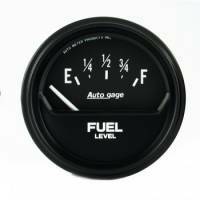 Auto Gage Black Oil / Water Black Console - 2-1/16 in. 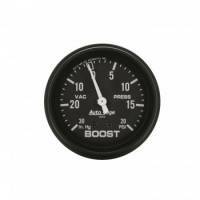 Auto Gage Boost /Vacuum Pressure Gauge - 2-5/8 in. 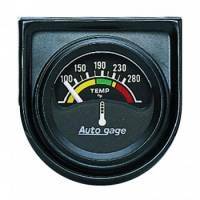 Auto Gage Electric Mini Oil / Volt / Water Gauge Black Console 1-1 / 2 in. Auto Gage Electric Oil Pressure Gauge - 1-1/2"
Auto Gage Electric Voltmeter Gauge - 1-1/2"
Auto Gage Electric Voltmeter Gauge - 2-1/16"
Auto Gage Electric Voltmeter Gauge - 2-5/8"
Auto Gage Electric Water Temperature Gauge - 1-1/2"
Auto Gage Fuel Level Gauge - 2-5/8 in. 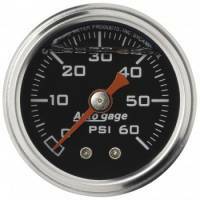 Auto Gage Fuel Pressure Gauge - 1-1/2"
Pit Stop USA is The Online Motorsports Superstore! 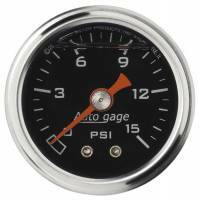 Auto Meter Gauges are the number one choice of professional racers worldwide. Auto Meter, the most respected manufacturer of high quality, performance aftermarket instrumentation, tachometers, gauges, gauge pods, and test equipment. Auto Meter Sport-Comp gauges and the original Auto Meter "Monster" tach, recognizable to millions, have become the absolute standard in all forms of racing due. Auto Meter gauges are chosen by the pros because they stand the test of time. Auto Meter Ultra-Lite gauges use the latest in specialty components and weight saving materials to create the most compelling set of instruments in competition today. 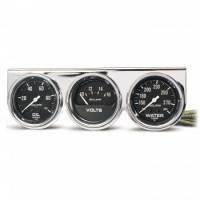 Autometer Ultra-Lite gauges made such an impact on the racetrack, that they're now commonly used in street rods, sport compacts, and trick trucks too! Nothing compares to the rich look and strength of Auto Meter Carbon Fiber gauges. The real carbon fiber dial face, high luster aluminum pointer with matching bezel, and stylish yellow accents make this series number one for any application. Cross the finish line first with Auto Meter Pro-Comp gauges built to take the abuse found in any professional racing environment. Check out race proven products like vibration resistant Auto Meter Liquid Filled gauges or informative Auto Meter Memory tachometers. Whether you're driving a pavement pounding stock car or a lightning quick dragster, you'll soon find that Auto Meter Pro-Comp gauges are as tough as you are. Not all racing is done on a clean and well-lit track. 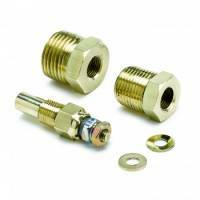 Easily identified by their anodized blue exterior, the Auto Meter Ultra-Nite series offers many unique features specifically designed for sprint cars and other related forms of racing. The luminescent dial glows at night for dimly lit tracks when no battery is available to light up conventional gauges. A sealed, water resistant case keeps moisture and debris out for easy cleaning. 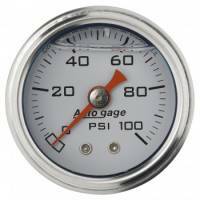 We feature Auto Meter gauges at low everyday prices!